No, I haven’t disappeared from the internet. I’ve spent the last few days with my family, celebrating the 80th birthday of my wonderful Grandma. I grew up in Southern California, but my family has long dispersed throughout the country. Our chances to see one another are few and very very very far between. Upon hearing that a surprise 80th birthday party was in the works, the Beez family eagerly packed up for the trip! Flying with kids is not easy. It’s not so bad when they are tiny infants and don’t do anything but sleep, eat and poop. The worst flight we had was when Baby Beez was about 18 months old, walking and full of energy, and we were too foolish to get her her own seat. She spent the whole flight squirming and screaming. Once the kid is walking age, get them their own seat. Sure, you can keep them on your lap til their 2, but it will be awful and you will hate everything. It’s nice to be out of that time where forgetting something at home is a total crisis. I still need to bring diapers and sippy cups and everything, but if I forget something, replacements are usually easy enough to pick up or I can improvise. It’s nice to be out of that zone where forgetting a bottle or a binkie or whatever means complete crisis. This isn’t to say that flying with a toddler is a joy. It’s certainly not. But it has toned down from complete torture to annoying inconvenience, and future travels look to get better and better. Grandma was shocked by all the excited guests. She and Grandpa were crying so many happy tears. The more refined offerings on the menu included osso buco and oysters on the half shell. They were all delicious, and the variety of options is perfect for a party. One of The Castaway’s signature features is its beautiful view. It was a little cloudy when we arrived, but it cleared up beautifully. And we took the opportunity to gather together for family photos. Baby Beez stole my iPhone for a bit, and showed off her artistic side. She knows how to activate Siri, but all she keeps telling Siri is “iPhone,” and then Siri keeps directing her to the online Apple Store. Baby Beez is better with the camera than with the Siri. Grandma and Grandpa were so happy to see all their beloved family and friends. It was so sad to have to part ways at the end of the weekend, not knowing when we’ll gather back together, but it was wonderful getting to spend a little time together. I have a ton of posts waiting in the hopper, but decided to go with this one first, because it is Pittsburgh Restaurant Week right now, and I want to encourage yinz to try something new! Fukuda is a new sushi joint in Bloomfield, and it prides itself on fresh, inventive and authentic dishes. I’ve been wanting to try their sushi, but haven’t gotten a chance. Today I happened to have the very unusual opportunity to actually get lunch with my husband. I saw a mention of Ramen pop up in my facebook feed, and I told him “WE MUST GO THERE.” Mr. Beez particularly likes ramen, and I particularly like food, so it was a good choice. Fukuda is very very very small. There are maybe 10 seats at the sushi bar, and another fourteen or so seats at tables. This place is tiny. I’m not sure if Fukuda takes reservations, but if they do, you should make a reso before heading over. 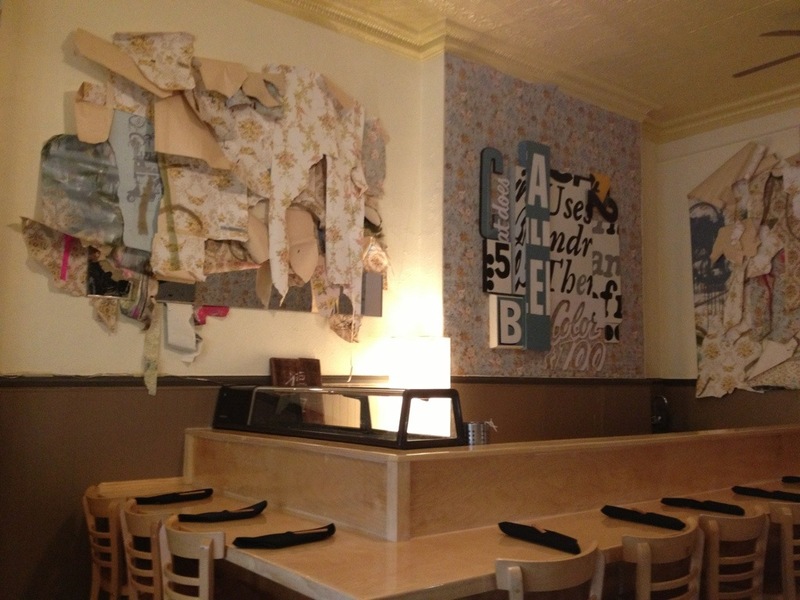 It’s itty bitty, and the restaurant is generating big buzz. It’s been getting particular attention because it is one of the very few establishments in the city offering a late night menu (that doesn’t also offer smiley cookies). This stuff was so good. This ain’t Oodles o’ Noodles. The Ramen lunch menu is small. They offer edamame, ramen, miso ramen (vegetarian), and seafood ramen. You better want ramen if you show up. We picked the regular ramen. 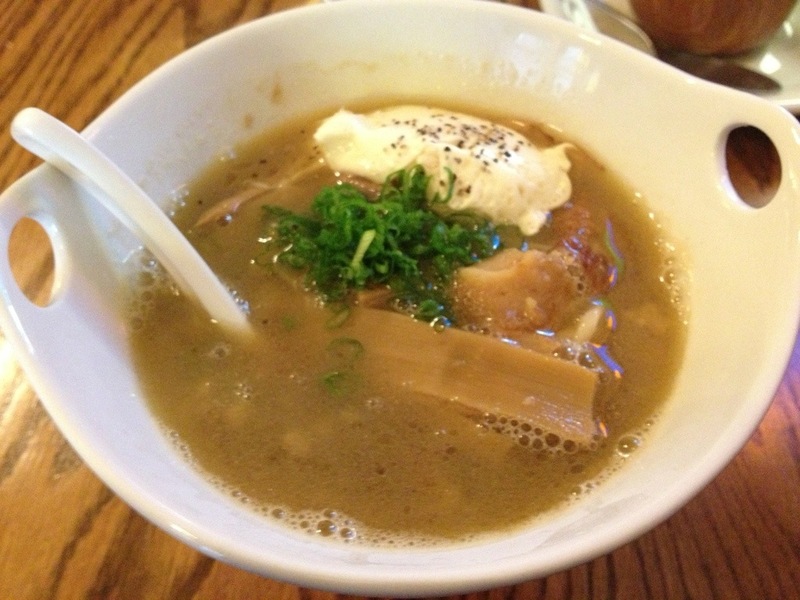 It had a savory but not-too-salty broth that was rich and filling. It also had thick chunks of pork belly, ramen (obviously), various vegetables, and a poached egg. Poached egg is not Mr. Beez’ style, so he ordered it without. But I thought that the poached egg was a perfect touch. It (alongside the pork belly) made the soup substantial enough for a satisfying lunch. Fukuda, along with other 50 other Pittsburgh restaurants are running specials this week for Pittsburgh Restaurant Week. Go try something new! I try to keep it positive on this blog, and most of the time I’m very lucky to have fantastic dining experiences. Every once in a while, though, things go south. By being less than 100% positive, I’m not seeking to shame a restaurant. I’d like to see places get their ducks in a row, fix the problems, and succeed. 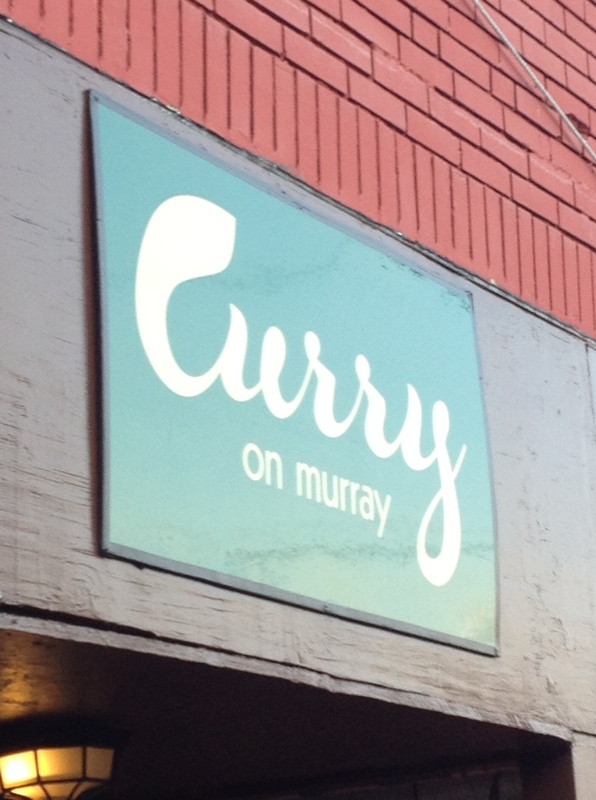 Curry on Murray just opened up July 12. It’s on Murray Avenue, in one of those unfortunate storefronts that seems to be a revolving door for small restaurants. Sababa Mediterranean Grill was there for a while, before that was a bakery/coffee shop that I think was called Rolladin’s (or something like that), and I can’t even remember the other several eateries that came and went before that. 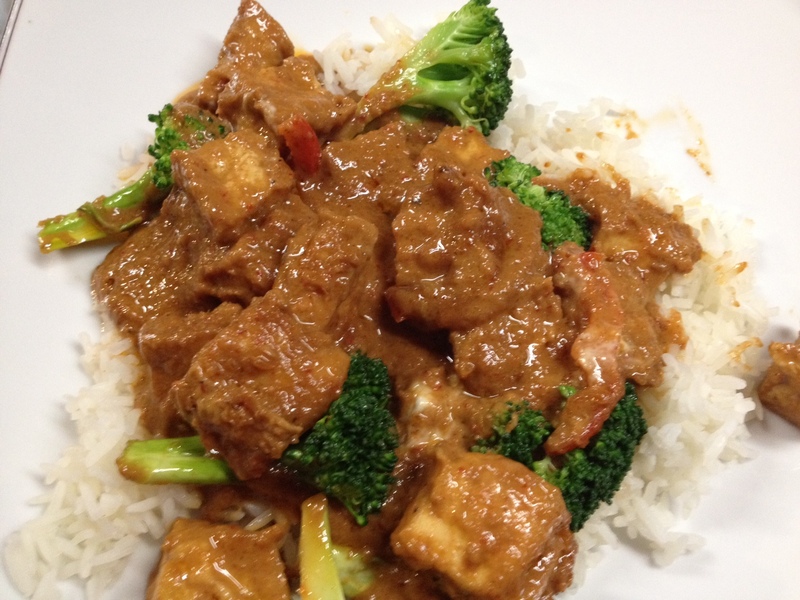 For only being open 2 weeks, Curry on Murray managed to get several favorable reviews on Yelp. Always up for a new eatery, I suggested that we get take out. I ordered the Panang Curry, Mr. Beez went for Pad Mee Mow and wonton soup, my mom ordered Pineapple Curry, and Baby Beez had dumplings. We all agreed that the food was good. It wasn’t exceptional, but it did not fall short either. It was perfectly adequate to feed that thai take out craving. They know what they’re doing with the food, but it’s the operational side of the restaurant that is holding them back. First, their pricing needs to be fixed. The entrees are priced fairly consistently with other Thai places, around $11-13 per entree. While the portion sizes of Pad Mee Mow and Pineapple Curry were consistent with other Thai places, my Panang Curry serving size was noticeably and inexplicably smaller (even in a smaller takeout container). Either the portion size of that needs to be upped, or the price needs to be dropped. The appetizers and soups are also priced inappropriately. Mr. Beez asked for wonton soup. It was priced at $5.95. I expected that it would be a very large soup portion, maybe to feed 2 or 3. Nope. It was a single serving of wonton soup. For $5.95. That price needs to be sliced in half. 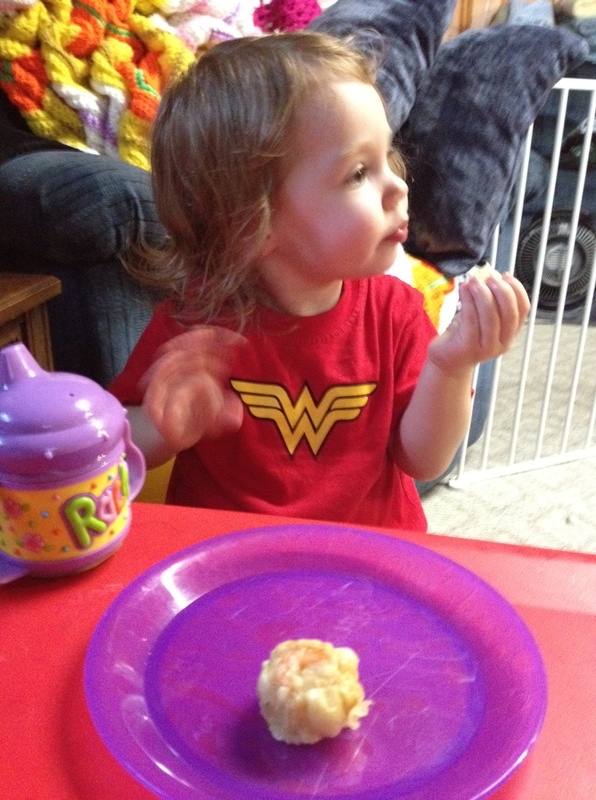 Also, Baby Beez’s dumplings were around $6, and we’re not talking a huge plate of dumplings. These were 5 very small dumplings. A couple bucks should be shaved off that price as well. The second issue was the wait time. They told me to pick up the order in 25 minutes. I got there around 20 minutes after placing the order. Then I had to wait another half hour, because the order was not done. 45+ minutes waiting for take out is unacceptable. This is not a situation where the staff is overwhelmed, the dining room was only about 1/3 full, and there was only 1 other take out order at the time. This is a timing and logistics problem that needs to be addressed. The hostess/waitress on duty at the time was apologetic, but she did not seem like she had much experience at all working in a restaurant. She kept wandering around, as though she did not know what to do. She needs some training. The other issue I noticed is that there is a lot of operations “stuff” on tables in the dining room. One table appeared to be the owner’s makeshift office, covered in a laptop and papers. Another table was being used as a napkin folding station. Another table was the storage space for artwork waiting to be hung up. This clutter conveys to me that they don’t have their act together, and are not yet guest focused. I hate to see a family restaurant fail, and these revolving-door storefronts seem to bring with them gloom and doom. I don’t point out these shortfalls to be punitive, or to encourage other guests to stay away. I point them out with the hope that the restaurant gets their act together, fixes the problem, and thrives. OUT OF MY WAY! GIVE ME FOODS! I spend all year looking forward to the Best Restaurant Party. At the party, the winners of awards in Pittsburgh Magazine’s Best Restaurants issue set up tables, and serve small bites to the crowd. It’s a nice opportunity to have tastes of a whole lot of restaurants all at once. It’s also a massive completely insane Saturday-Morning-at-Costco style feeding frenzy. Just because the women are in heels and the men are in ties does not mean they’re acting civilized. Lots of yinzers and lots of food means lots of crazy. None of the dishes stood out to me as a culinary revelation, but many of them were very good. My favorite dish of the night was the peppercorn crusted, onion-topped sliders from Burgatory. You can never go wrong with Burgatory. It was a simple dish, but fresh (they were using the Heinz Field grills) and flavorful. Mr. Beez’ favorite dish was a noodle salad with duck and scallops from Spoon. It’s hard for chefs to put together fresh tasting, creative samples when they’re stuck cooking off site and serving from chafing dishes, but I do think most chefs did a very good job. I should have taken pictures of the food, but I was just too busy eating everything in sight. 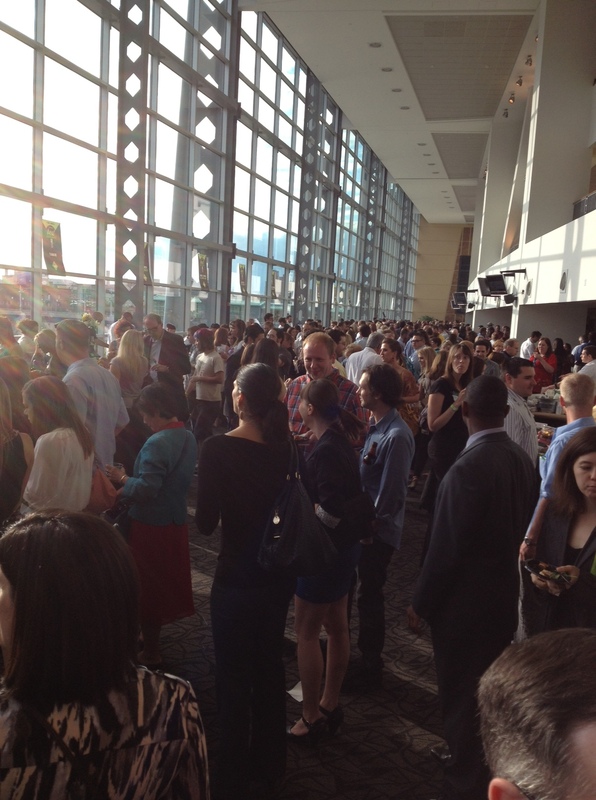 All the Pittsburgh-famous chefs were there. I of course did not speak with any of them. What would I say? “YOU MAKE TASTY FOODS.” That would just be creepy. But if you’re interested in meeting the chefs/owners of Pittsburgh’s most exciting restaurants, this is an event you should try to attend. The party tends to have logistical hiccups, but I think each year they get better at ironing out issues. The setting at the Convention Center a couple years ago was my favorite location, because there was plenty of space and the way that the stations were set up encouraged the steady flow of traffic. Last year was at Heinz Field but it was uncomfortably crowded. This year was again in Heinz Field, but it was hosted in both club lounges instead of just in one, and that made a huge difference. The traffic flow is still tricky because they way that the stations are lined up, half the people wait angrily in one supposed one continuous line from one station to the next, while the other half pop in and out from station to station. It would nice to see if they could either stagger the tables in such a way as to discourage one long line, or set up ropes that would create a small line at each station. We also went to the after-party at the Casino. It was open bar and there were generous food sampling stations, but I was so full from chowing down at the party for 2 straight hours, that I couldn’t even eat anything. All the food looked really good though. I gambled a whopping $5, and came home with $19.22, so I feel like a winner. I wish gambling were more fun for me (just a little more fun). I’m so risk averse that the casino pains me, because I just watch my money waste away. I have been to Vegas plenty of times, but I think the most I’ve ever gambled in my life at one time was $20. I think of all the shopping I could do with the money instead, and the slot machines lose all appeal. 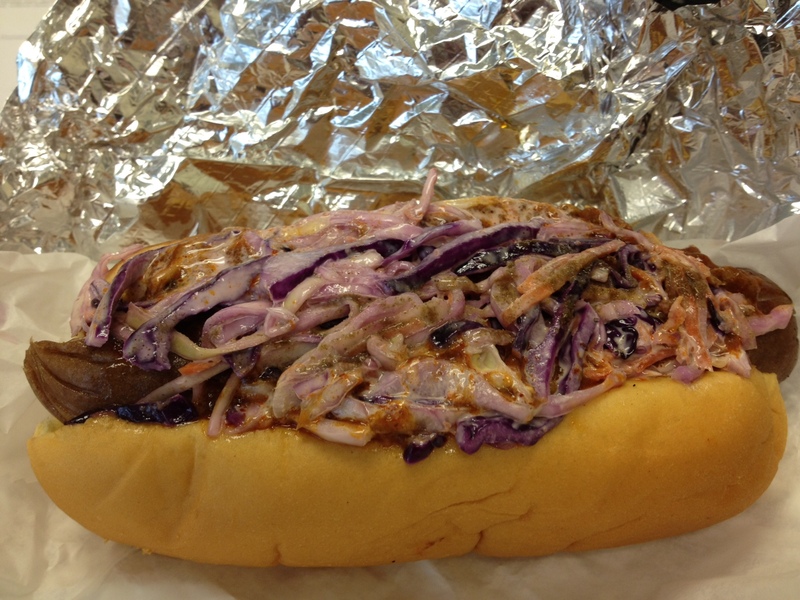 Ok, this has nothing to do with the party, BUT I had the Locavore Southern Belle dog (topped with cole slaw and chili) from Franktuary for lunch yesterday.